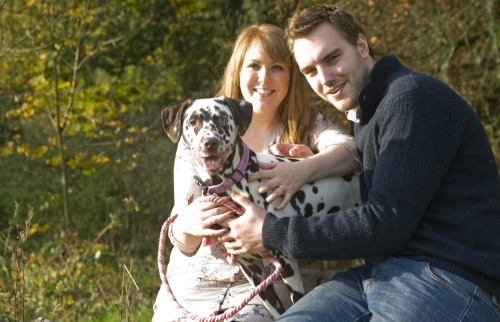 Charlotte Elborough and John Kiy took the time to speak to us about their experience of living with their Dalmatian, Paris. 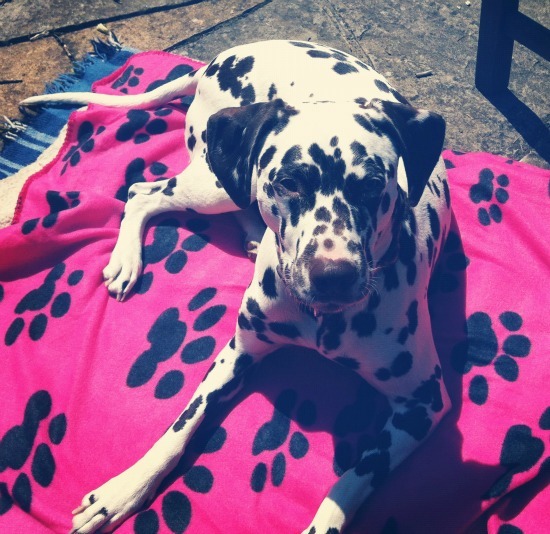 Q: Can you tell me a little bit about Paris the Dalmatian please? 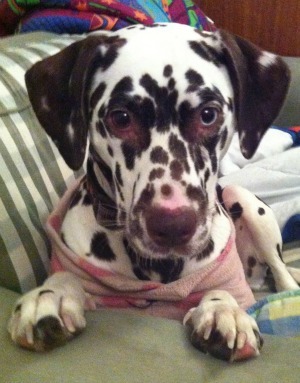 A: This is Paris, our 3-year-old female Dalmatian. 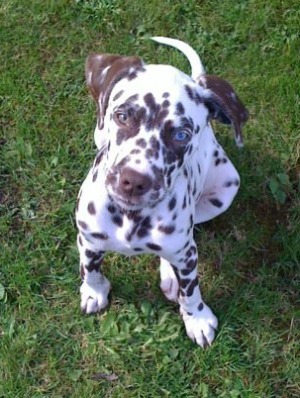 She is liver spotted, which is actually quite common in Dalmatians and she has one blue eye. We rescued her as a potbellied 12-week-old pup – before she came to us she had been fed on takeaways. Q: How easy was Paris to train? A: Once you get her attention, she’s really intelligent and learns new things really quickly. It’s the attention part that’s the struggle…food normally works! As with any puppy she went through a teething and chewing stage (we lost many a shoe and even a Blackberry!). We found that crate training worked though and she soon grew out of her puppy naughtiness. She picked up toilet training really quickly and she now tells us when she needs to go out by running to the door and putting her head out of the cat flap! Q: How much exercise does Paris need? 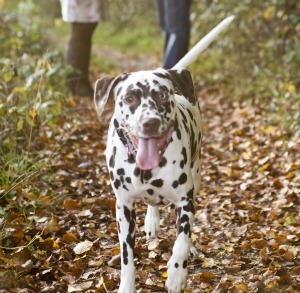 A: Dalmatians need a LOT of exercise and attention! P could run all day long and likes nothing more than being with people. That said, she’s not a morning dog and will happily sleep until midday! She gets an hour-long walk at lunchtime and we usually go out running in the evenings too. As I work from home she is with me all day and on the days we are away she goes to doggy daycare. We don’t like to leave her for more than a couple of hours on her own. Q: Does Paris have a particularly "doggy smell" and how is her coat in terms of shedding? A: When dry she doesn’t really have a smell and is very clean. If she gets wet then she does have a bit of a doggy smell, but she dries really quickly. For a shorthaired dog she sheds loads. Her hair gets everywhere and is really difficult to get off clothes and furniture. We go through lots of lint rollers! Q: Is Paris an excessive barker? A: No she isn’t very vocal at all, apart from the occasional moan when she doesn’t get her own way! Q: Does Paris have good recall off-leash? A: Recall took a long time to get right! She is naturally inquisitive and wants to be everyone’s friend, so if she sees something interesting then she will become temporarily deaf. The way to get her attention is through her stomach, providing we have treats to hand, she always come back. She doesn't tend to stray too far from us and she panics a bit if she loses sight of us. Q: What is Paris like around other dogs? A: Paris is very excitable and wants to play quite boisterously with any dogs she meets. Not every dog is happy with this and this can lead to problems. If provoked then she sometimes retaliates, so we have to be very careful. She isn't an aggressive dog at all but she’s not every dog’s cup of tea!! Q: What is Paris like around other animals? 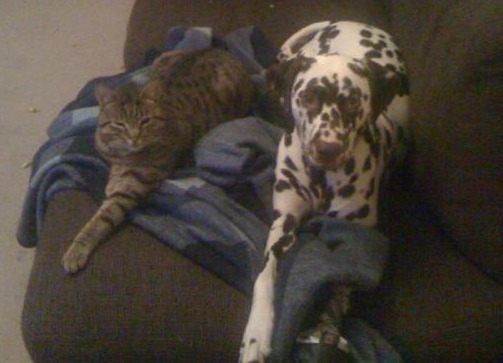 A: Paris is best friends with our cats and I’ll quite often find them curled up on the sofa together. She does get a bit much for them sometimes but has never been aggressive towards them at all. Q: What is Paris like around children? A: She loves children! Although, she can be too lively for some nervous children as she does tend to jump up and get excited. As long as they are calm when meeting her then she is perfect. She has never shown aggression towards humans. Q: Would you class Paris as a fussy eater? A:We feed Paris twice a day. She gets half a tin of meat with a cup of mixer, morning and night. If she doesn’t get enough exercise she tends to put weight on quite quickly. She’ll eat anything and everything. We have to be very careful with our food in the house - if it’s left out of sight for 1 second it’ll be gone! Q: Would you class Paris as high maintenance? 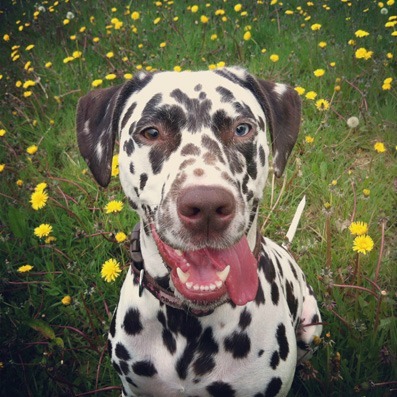 A: Paris truly is part of the family – she has the biggest personality and is the most loving dog. She brings so much laughter and joy to our lives. She has the quirkiest traits and I think she believes she is a princess sometimes. 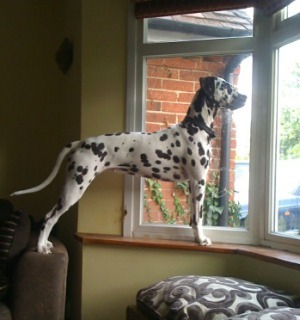 That said, Dalmatian’s are not an easy breed and I would definitely say they are high maintenance. They are very intelligent and will take advantage of you whenever they can. They need lots of attention, training and exercise. 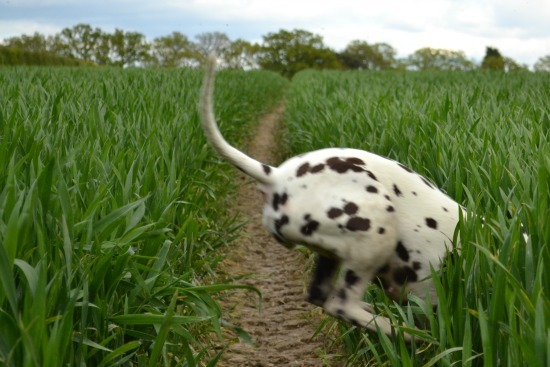 But the rewards you get from a spotty dog are totally worth it!